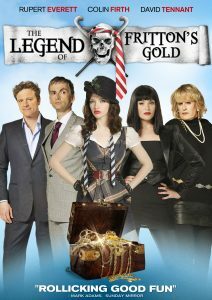 After wealthy philanthropist Piers Pomfrey has expressed an unusual interest in a ring found by her niece Annabelle, Miss Fritton explains that she is descended from a pirate who, in 1598, stole treasure from another pirate: Pomfrey's ancestor. The location of the treasure is to be found when the ring and its double are put together. Felonious ex-pupil Kelly and Miss Fritton's former lover Geoffrey are brought in to help the school steal the second ring from the evil Pomfrey's misogynistic secret society, leading to a showdown at the Globe Theater, and an amazing revelation as to the identity of pirate Captain Fritton, as well as that of William Shakespeare.